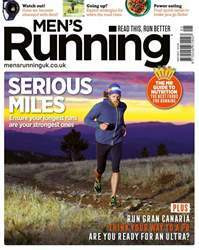 Digital Subscriptions > Men's Running > May-17 > ULTRARUNNING ARE YOU TOUGH ENOUGH? They happen all over the world, in all environments and terrains and over all sorts of distances. From the Marathon des Sables, the equivalent of six regular marathons in the Sahara Desert, to the Yukon Arctic Ultra, 430 miles at the other end of the thermometer, to some races that are a comparatively short at 50K. For some runners they are an obvious next step after completing a few ‘vanilla’ marathons. A quarter of those tackling their first ultra event have less than three years of regular running behind them (and that level of experience before a first ultra is on the decrease). We spoke to those who’ve gone before and beyond to show you what it takes – and takes out of you – to complete an ultra. Gen’ up not just on the route but the reputation of the race, too – especially when you’re taking on challenging conditions. “The Spine Race (a 268-mile, non-stop race along the Pennine Way in January) takes place in winter, so most of it is spent in the dark, with floods, ice, snow and absurdly strong winds,” says GB ultrarunner, inov-8 ambassador and two time Spine finisher Damian Hall (@damo_hall). It’s a race where water bottles and hydration bladder hoses can freeze up and potentially fatal hypothermia isn’t uncommon. “Some ‘Spiners’ have discovered trench foot isn’t just something that happened in France during World War I,” he adds. But the Spine Race is an extreme example.